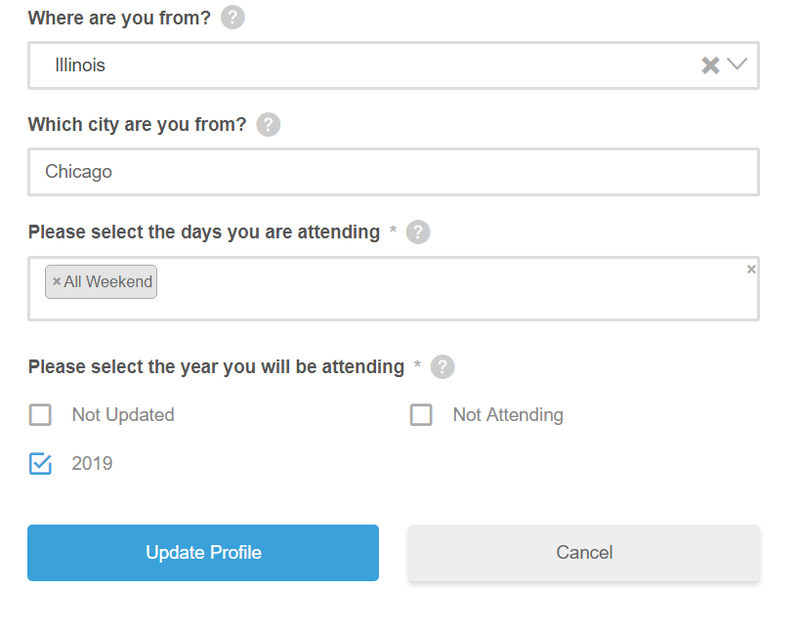 If you have previously registered for this site and are planning to attend this year, then you are required to update the days that you will be attending. This is important so that we have your accurate dates for pre-registration each year. NOTE: You must login prior to clicking the link below to update your attendance.